Holy pork chops! These are divine! This is one of the simplest meals to make too! 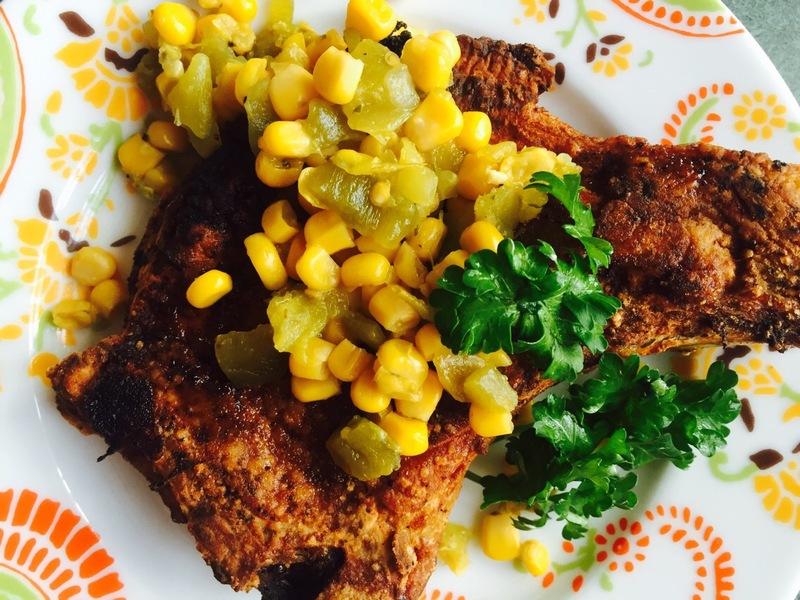 Another one of my pantry staples because, aside from the chops themselves, all you need is flour, oil, a couple of seasonings, canned corn and canned green chilies. All of which I keep on hand at all times. I love meals like this. The pork comes out crispy on the outside and dripping with juiciness on the inside! They are so tender and flavorful. 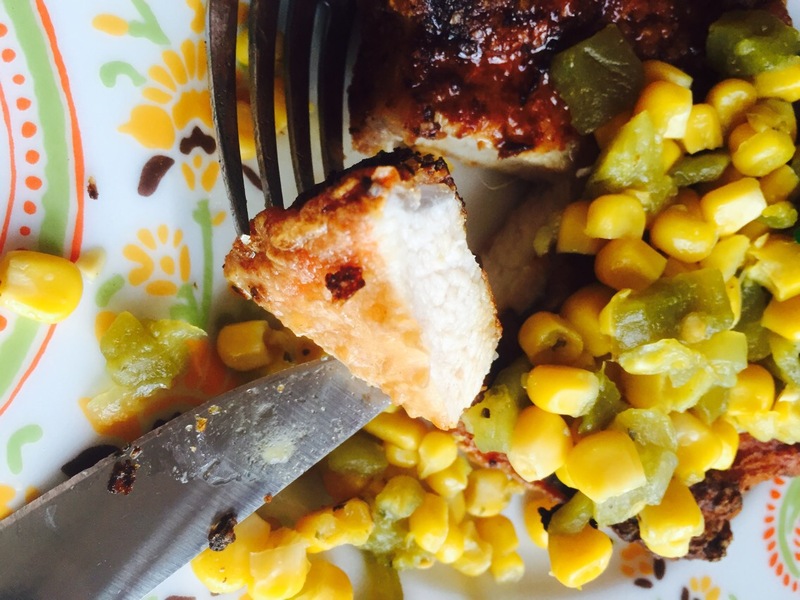 The corn and chilies give it an extra pop of color and flavor. You really can’t go wrong with this one. Best part, it’s done in 15 minutes or less!!! 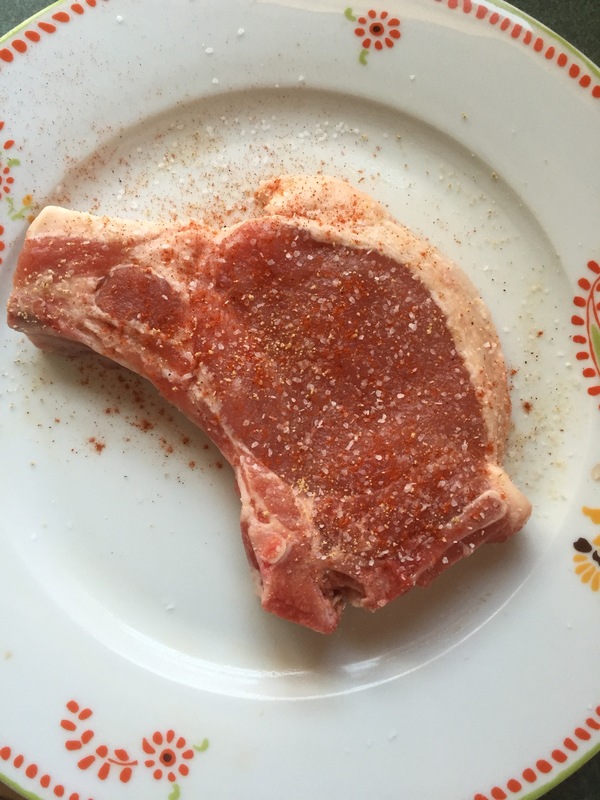 Season both sides of your chops with a sprinkle of salt, pepper and 1/2 of your seasoned salt. 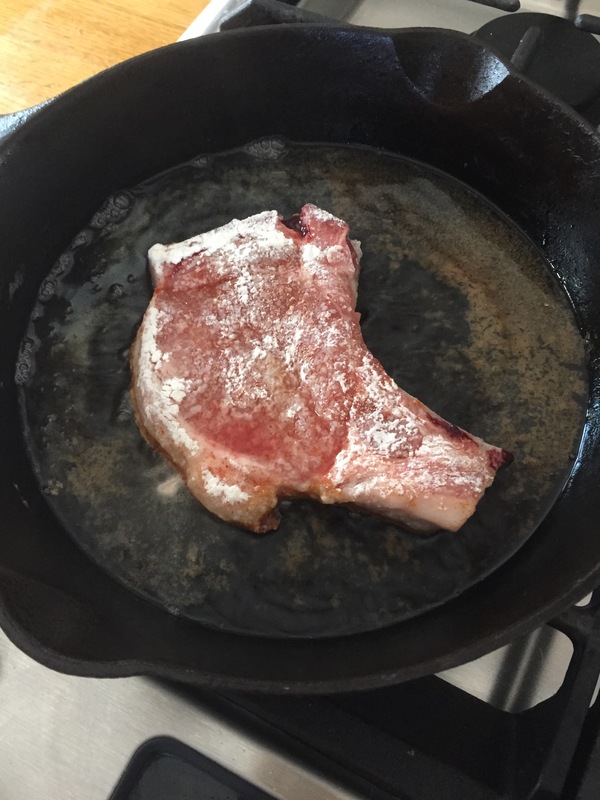 For all 4 chops, heat your canola oil over medium high heat in a large cast iron skillet (or whatever you have on hand, I prefer cast iron). 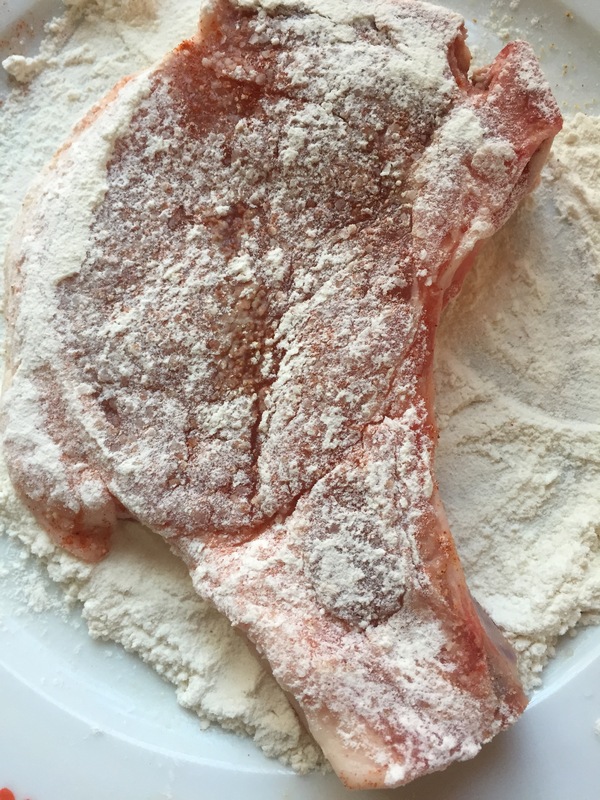 Next mix your flour with a tbsp of your salt, more black pepper and the remaining seasoned salt. Dredge both sides of the pork chops. Place the chops in the thin layer of hot oil and fry for 4 minutes per side. Meanwhile in a separate pan heat your corn and chilies together until hot and bubbly. 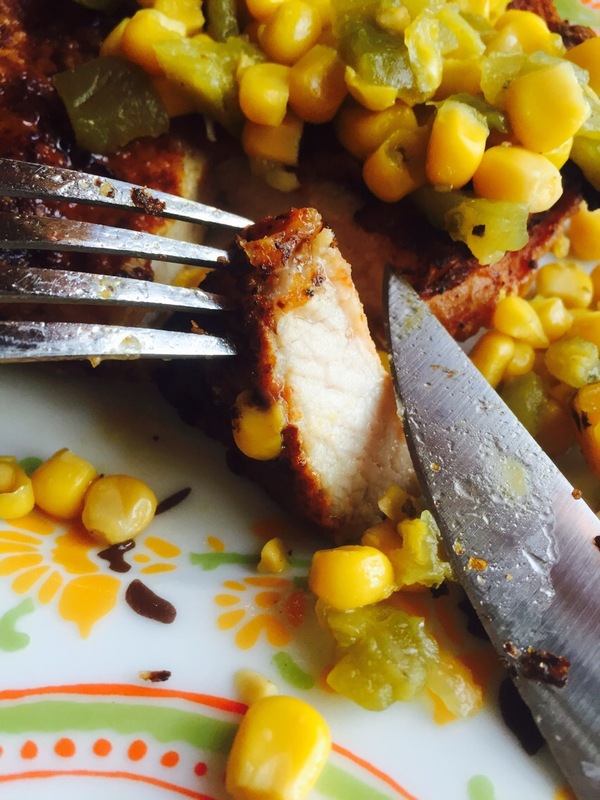 Plate your pork chops and let rest for one minute so the juices start to redistribute throughout the meat. Top with your corn and chilies and dig in!!! 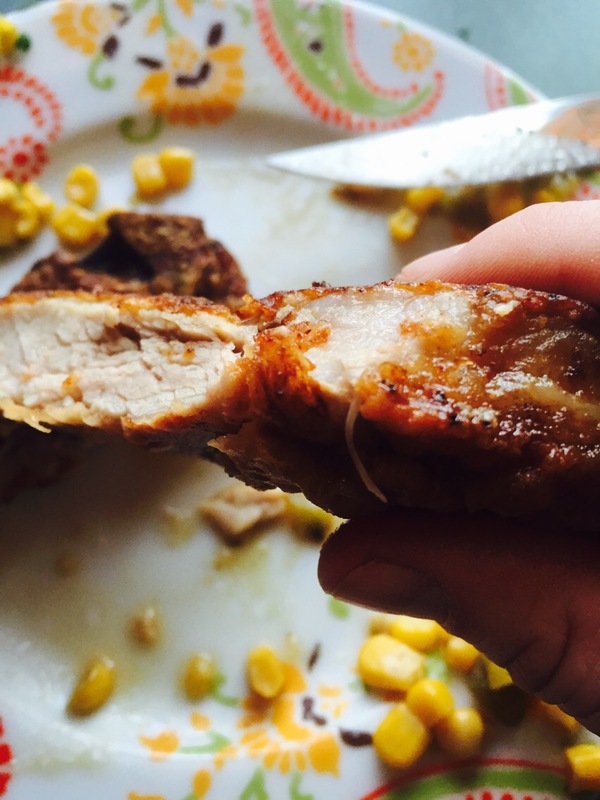 These chops are seriously finger lickin’ good! 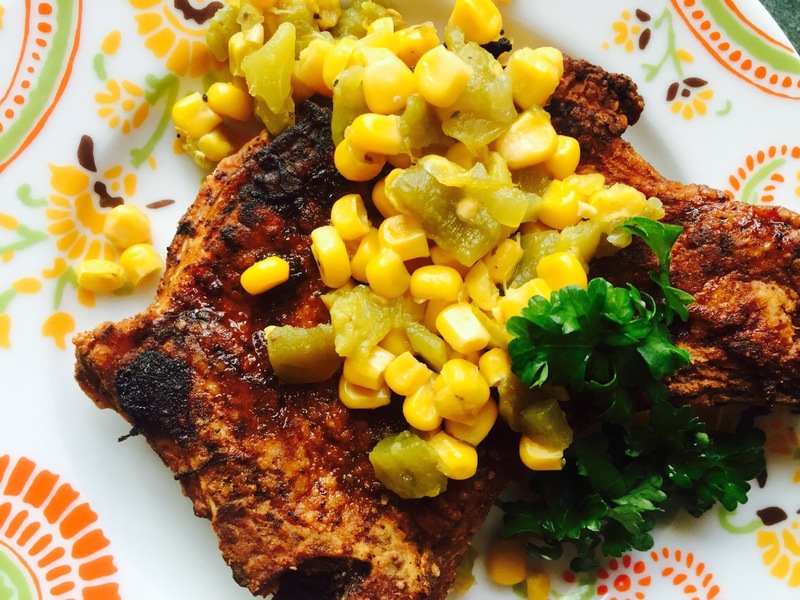 I’ve been making my pork chops this way for quite some time, however, the addition of corn and green chilies sounds like the perfect addition for a cold Wisconsin evening. I have 5 pounds of chops in the freezer right now, so this will go onto next week’s menu plan.